What business on the Internet today is one of the most popular? Of course, tied to beauty a sphere. Lovely girls at any time of the year want to remain beautiful and attractive, and therefore more and more online markets are needed that will allow them to acquire cosmetic products quickly and easily. The design of the cosmetics store should be pleasant and laconic, so as not to distract attention from purchases. The color scheme can be pastel shades, black or white. If you want to pay attention to some kind of series, action, event or brand, think about developing a slider in the header. Tip! The segment of cosmetics is simply huge. Think about the competition that awaits you. To move faster among competitors, select one or more segments, such as organic or professional cosmetics, Korean cosmetics (popular trend) or take even narrower directions: IM «All for nails», online hair care products or beauty-market cosmetics for care the body. Depending on the direction you choose, you can open an online cosmetics shop with an appropriate design. So, you fully seized the idea of ​​a small business "How to open an online store of Korean cosmetics". You have studied reviews on the Internet and blogger reviews, found suppliers, checked the availability of certificates, selected the design. Now you need to think carefully about the structure of your OS. Most often, the side menu is designed for the purpose of goods, and brands, series, the amount of funds left for filters. But in your store you can experiment and try different options. Business on the Internet with the right approach and strategy can be more powerful offline business. But you need to think on the details. Before you open an online cosmetics store and make it convenient for the customer, it's worth thinking about which modules should be included. Product Attributes. This module will allow you to assign attributes to each item, for example, volume, weight, packing dimensions, age category, etc. Watermark. If you diligently tried to create unique media content (photo), then it would be superfluous to protect its watermark. Also a watermark advertises your resource. Mail subscription. This module will allow you to build your customer base with email addresses. Subsequently, the database can be used for mailing. This is a convenient feature for the user, since it is possible to add to the sheet that you liked and not lose after numerous views of other positions. Product Labels. The module will help you highlight a group of products on the site, for example, which are now offered on stock or at a discount. And you can make an interesting and popular label "Hit Sales". An important addition to any cosmetics online store is the opportunity to leave a review about the product, so we add another module Feedback. All features are listed on the "Advantages" page. Features of the content and promotion. So, everything is ready for filling and your store reminds you of a beautiful branded box that only needs to be filled with the product. What requirements does a seo offer for a product or category description? Since we have touched on the theme "How to open an online store of Korean cosmetics", which means care cosmetics, the content should be primarily useful. In the description of the product, it is necessary to indicate which series is the product, its composition, what effect does it have on the skin / hair / nails, etc., what result can be achieved using the product. Remember that the Meta Title and Description tags must be unique. You can take 500-character text from the description of the item. Tip! If the item is a bit, for example, exclusive cosmetics, the description can be made more extensive and voluminous. For Korean cosmetics perfectly fit 3 social networks: fb, instagram, vkontakte. Create a business account, a group, a page and start promoting your brand. Advertising information is better to mix with informational and entertainment in the ratio of 20/40/40. Do not forget about the hashtags, they will help users find you. Make posts regularly: at least once a day. 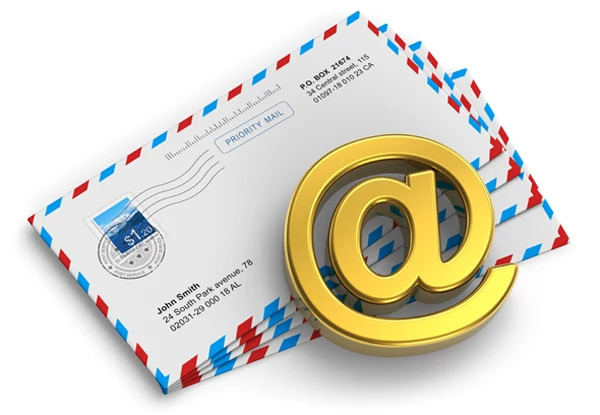 Do not forget to periodically make an e-mail newsletter to remind users about yourself.